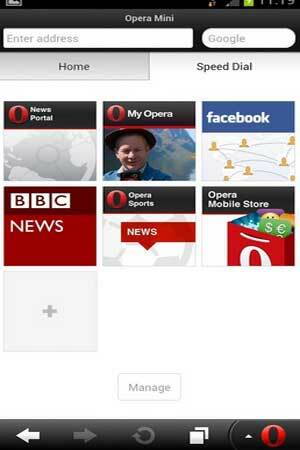 Opera Mini 11.0.1912.95711 APK has released and you can download it or update your app easily. This is the latest version from the developer and there isn’t update since a month ago. Android is an operating system that is rich in applications and one application that has high number of downloader is Opera. Mobile browser is the most widely used by smartphone or feature phone users. Because it usually has fast speed internet access and easy to use. Set the loading time from 30 to 3600. You can go to opera:config on address bar and you will get all the option. SPEED: Even webpages with lots of images and graphics load in a snap. SAVINGS: Cut data costs by up to 90% with our unique compression technology. SIMPLICITY: Bigger buttons and a clear layout make it easy to use for everyone. STABILITY: Go further on the web with a browser that can keep up with you. SOCIAL: It plays well with others. It works on just about any phone that can connect to the internet! Set all your favorite websites on the home screen of your browser with Speed Dial. There’s no limit to the number of entries you can add. Find out what’s happening with Smart Page. It delivers instant updates from Facebook, Twitter and the latest news. Multitask and switch between open pages with tabs. Save pages to read later, or for times you’re not connected to the internet. Get music, movies and more when it’s convenient for you with the download manager. A “High” savings mode has been added that gives you a full web experience. New full screen tab gallery. Bookmarks and Saved pages are now fixed entries above the Speed Dial. Saved Pages are now listed in a full screen list that shows both title and URL. Various stability and usability improvements. This version is much better than the previous one in terms of UI design, and data compression. This version gives me at least 86% saving. The saved pages view is good, as well as the tab previews. A great update.